Many of us do not have a great fancy to live in an area with a year-round temperament temperature. In some places, a winter with extreme cold weather is not avoidable. Even though in the cold weather, you don't face the lack of dissolved oxygen in the water like in hot temperature, low temperature is not comfortable for your fish or plants. They endure great stress during such low temperature and death can be seen. So it's best to do something to cope up with that kind of climate. Do you need a heater in your aquarium? Actually, you don't need to. It really depends on the types of fish you're going to grow. Some tropical fish have a subtropical shift when the environment changes; In this sense, these fish can still adapt well f the temperature goes down 5 - 10 degrees in the ambient environment. The second reason is the heater consume lots of your energy power. So you will pay not a small amount of energy bill in a large tank. 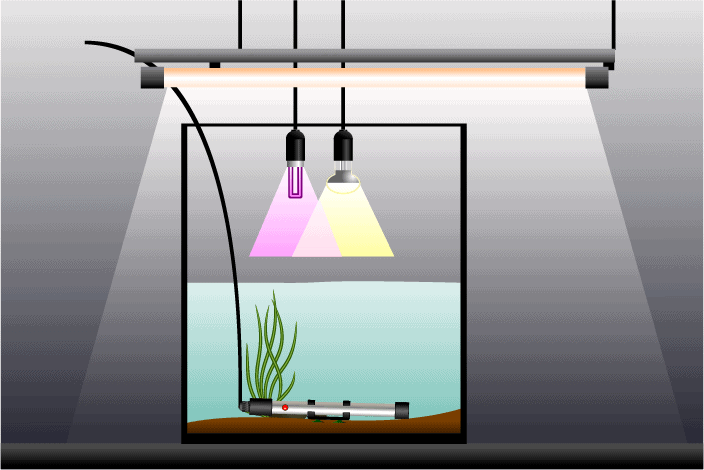 So some growers warm up the water environment by controlling the room temperature by bringing the aquarium to a warmer space or using other devices around like lights to have the temp up. But this only works if your surrounding temp is not that low and the type of fish you raised has a wide range of temperature endurance. In lots of cases, you'll need a heater, which I'll explain below. When do you need a water heater? As said, for some areas in the world, you face an extreme cold. If you don't do something to warm the water for fish, they can suffer health issues and may die. You really don't want the temperature changes abruptly. 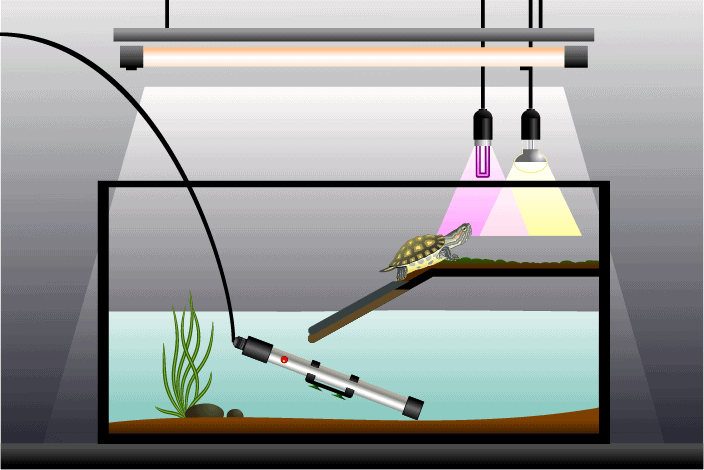 The main usage of an aquarium heater is to control the tank temperature at a set temp. These heaters will only turn on when the temperature is not the right level. So all the temperature of the tank is always in control automatically, making you feel that you fish will always be healthy. Some species require a certain temperature to get a split of gender ratio from their offspring. That's why using a heater have great use of boosting their breeding period. If the manufacturer gives out the specific gallon/litre size capacity the heater can warm with the specific temp you want to reach, you should follow them. If not, to make it easy, as a rule of thumb, you'll need 1W for 1 litre or 4W per gallon of water. And if you still have spaces for a larger heater, you should get a larger heater than the rule above and should get another one as a backup. I'll go into details about backup heater below. It's better to go with 2 small heaters than 1 large heater. And as said above, you should get a heater larger than the common rule (1W for 1 l). So in this sense, I would get a heater with a double size and another backup heater. This is because if you have 2 heaters, you can also have one running if the other one fails to function or stops working. So if I have a 100-liter tank, you'll need two 200-watt heaters. If one breaks down, I still have another powerful heater that still works well. You can also have more than one backup heater and should not worry much about adding many heaters into the tank. This is because these heaters have a thermostat. So when the temperature reaches the set level on the heater's thermostat, it will not turn on. For normal home users, choosing an in-line or submersible is heater more likely due to liking. In-line heaters get the water go over them continuously. Meanwhile submersible how the warm water flows depends on where you place the submersible heater - horizontally, vertically, at sides, or in the middle at the bottom of the aquarium. If you want to remove clutter from the tank to have a clear and clean tank, go with the in-line heater. 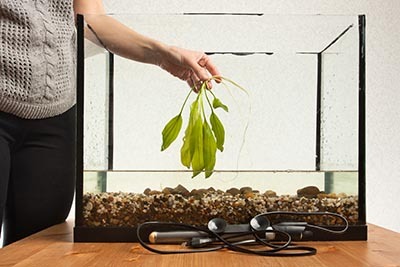 This is a great option for small tanks, in which you find it hard to submerge a heater in the water. Usually, quality stuff doesn't come at a low price. However, this doesn't mean that you cannot get a good heater at a bargain price. And it also depends on your current needs - a small or large aquarium, whether you are a serious or weekend user, sometimes the most quality heater with the most expensive price doesn't make sense. So in this guide, I also list some budget product for hobby growers as well. Science class has taught you that hot water rises and cold water sinks. In this sense, you should place the heater in a place, where it can spread the heat throughout the water tank. So, in a high and narrow tank, it's recommended that you place the heater at the bottom horizontally so that the warm water will flow to the top. In a short and wide tank, you should place the heater diagonally to let the heater fully submersible and warm water can be present in all spaces. And finally, unless there is a filter/water flow, you should not install the heater vertically and at the corners/sides. This is because positioning like this will make it hard for the warm water to flow to the whole tank. Eheim Jager is one of the most popular heater brands for aquarium and is known for their efficient performance and good customer service. Hence, this is our top pick. This product is German-made and is a submersible heater that must be placed fully inside your aquarium tank. It is powerful enough to warm a 160 gal tank, keeping the temperature from 65° to 93° F. Heater models are available from 25W to 300W. Its core is made of durable and shock-resistant glass that works great either in fresh and salt water. And just like other modern heaters, Eheim Jager has a thermo safety control that automatically halts when taking off from the water, and will start working when placing into the water. An indicator light works to help let the user know if the device is heating or not. If you're looking for a powerful Euro-quality heater that can perform powerfully and stably, this should be on your buying list. 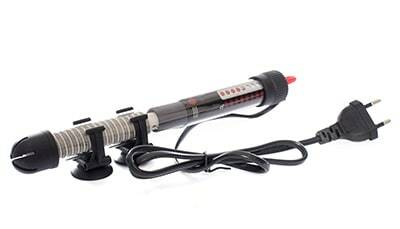 Aqueon Pro Heaters are another popular submersible ones used for Aquarium. They have a wide range of model ranging from 50W to 250W, which can fit a varying needs of tank size. The 250W heater is recommended for a 65 - 90 gal aquarium. It has a great build with its aluminum core rather than using glass like other submersible products on the market. This brings stable heat and durability. The product comes with a LED light indicator that informs whether this device is heating or not. A limited lifetime warranty also creates a great sense of safety for anyone getting this heater. Overall, this is a good reliable heater that can work well for your aquarium and you also feel secure with the manufacturer's lifetime warranty. The only in-line heater in our list is the Hydor heater. This a bit more expensive than other submersible heaters, but overall if you're looking for a durable and quality in-line heater, I'll recommend this product. It is a bit bulky with 4 x 4 x 12.5 inches in dimension, but it has a sturdy and quality build and has all of the important features of a modern heater. Though it takes more time to set it up than submersible heaters, it does not cause any difficulty for most users as there are a detailed product guide and lots of online videos you can find. To use it, you have to set it up vertically in the canister filter or sump's return line. Then attach the heater to the side of the aquarium. This 300W heater can be used to heat up to a 100-gal aquarium. And it uses the PTC technology, which accurately sustains an appropriate temperature range without overheating the water. This heater from Hygger has a different design from other submersible heaters with an external case outside that protects the fish from getting burned. It has an external temp controller, which is used outside of the aquarium and can be set temp ranging from 75 to 91F. And like all modern heater, a thermostat is attached to help watch the water temperature and will automatically stop warming up the water when the temp drifts the set level. The 300W Hygger heater must be fully submersible and is really compact with just 10.6 inches in length. There are only three available models - 50W, 100W, 300W with the 300W heater can accommodate a 60-gal tank as stated by the manufacturer. Fluval has been another established brand for aquarium heater just like Eheim and Aqueon. This 200W heater is recommended for a 65-gal tank by the manufacturer. It is constructed by durable Borosilicate glass that promises to perform efficiently with time. A small blue like in the middle let growers know when the heaters are working. Some users note that this not a fully submersible heater. Models are available in 50, 100, 150, 200W. There is a 3-year warranty which is average on the aquarium heater market. 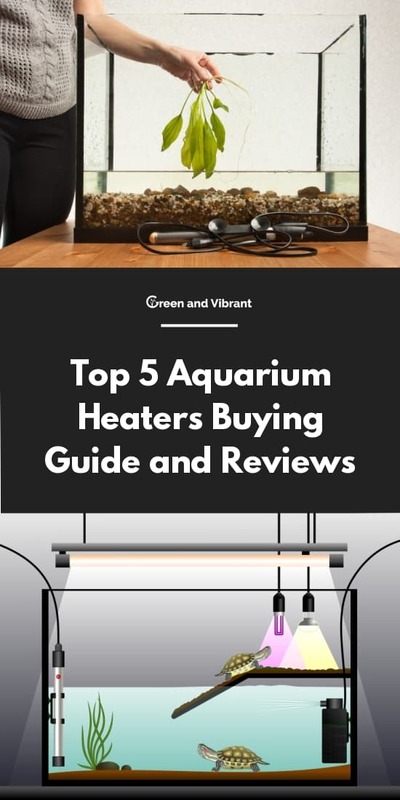 I've gone through the top choices for aquarium heaters on the market. Hopefully, you can get a reliable and powerful product that can provide enough heat for your tank and will last for many years. To sum up, if you need a quality submersible heater, I'll recommend the Eheim Jager. It has a Germain quality, durable performance, long warranty and has been used a lot by aquarium growers. For an in-line heater, there is no better choice than the Hydor In-Line External Heater. Even though this product is more costly than other options on our list, this is a reliable heater which has been in use widely and favored by lots of users.